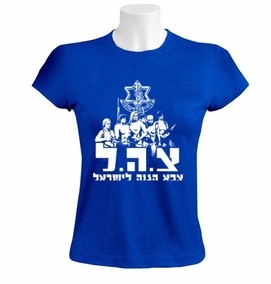 A bunch of gorgeous girls with guns appears next to the IDF logo. IDF is written in hebrew below the image. Our t-shirts are made of 100% cotton and are long lasting with bright colors. Our products are all designed and printed in Israel.